This is an image of some subterranean termite damage to some hardwood flooring. 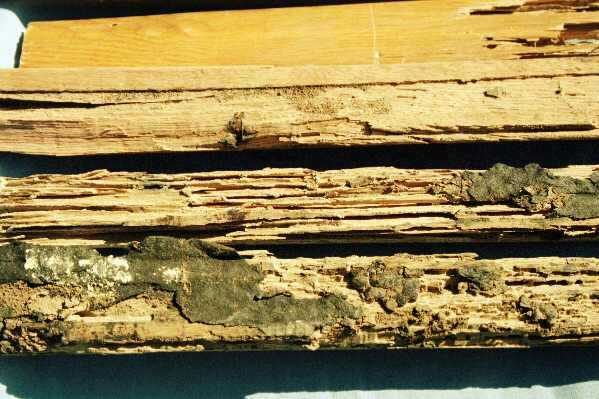 It is assumed sometimes that subterranean termites only go after soft wood. This hard oak flooring shows that no wood is safe. Notice the mud inside the tunnels (called galleries). The termites bring this mud into the damage to help keep this area temperature and humdity controlled so that they continue to cause the damage year 'round.